This week marks a special time in Asheville when the beautiful fall foliage change coincides with the beginning of an enchanting holiday tradition. It’s your opportunity to enjoy the best of both seasons at the same time. 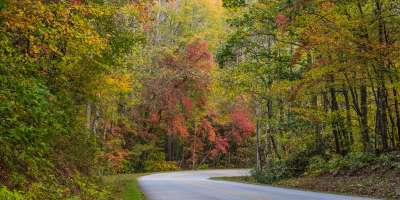 Fall color has arrived in the lower elevations, including the Blue Ridge Parkway in Asheville and Hickory Nut Gorge. Take a look at our weekly fall color report to find out where to find the best fall leaves this week. It’s a holiday tradition that dates back more than 120 years. During Christmas at Biltmore, the estate transforms with elegant and stunning decorations that include more than 100 hand-decorated Christmas trees. Among the most beautiful trees is the 35-foot Fraser Fir laden with ornaments and wrapped packages that serves as the centerpiece in the grand Banquet Hall. The Conservatory in the Walled Garden is filled with poinsettias. And new this year, see 7,000 globe-shaped ornaments hanging from the ceiling of Biltmore Winery, America’s most visited winery. 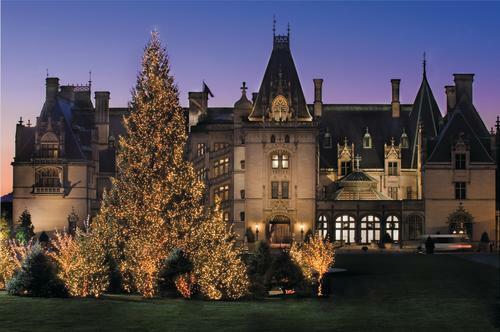 A daytime visit to Christmas at Biltmore is included in your admission. In the evenings, Biltmore glows during Candlelight Christmas Evenings with thousands of twinkling lights and dozens of roaring fireplaces. Step back in time and experience the estate much like the Vanderbilts did during their first Christmas Eve spent at Biltmore in 1895. As you stroll into the estate past luminaries that line the walkway, stop to see the 55-foot Norway spruce sparkling in the front lawn. Candlelight Christmas Evenings do require a reservation and separate admission. Saturday and Sunday (Nov. 4-5), 10 a.m. to 5 p.m. 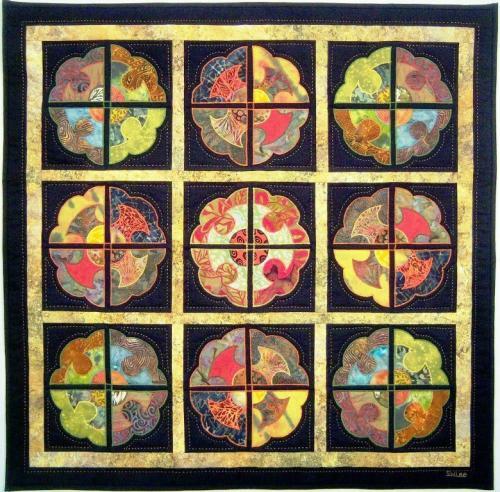 The Weaverville Art Safari is one of the original studio tours in the area. 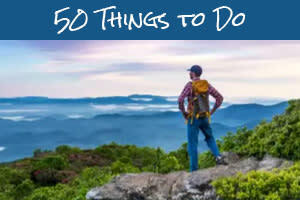 Weaverville is just 15 minutes from downtown Asheville. This self-guided, free event offers a unique look at the artists&apos; work in their working environment! The artists’ specialties include handmade pottery, glass, photography, sculpture, jewelry, furniture, painting, drawing, fiber art and wood art. Get a sneak peek of all the artists’ work together during the Preview Party on Friday, Nov. 3, from 6 to 8 p.m. The party features a raffle with the artists’ work as prizes. 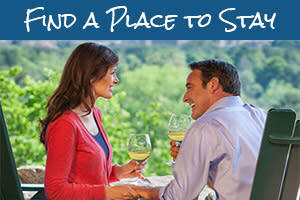 Also enjoy beer, wine and snacks. On the first Friday of the month (April through December), downtown Asheville showcases its robust and diverse arts scene. As you explore the shops and restaurants of downtown, you can explore 25 galleries and museums within a half-mile radius of the city&apos;s center. On the heels of a weekend which featured performances in Asheville by Gladys Knight, Little Big Town and the Avett Brothers, more big name music acts prepare to take the stage. 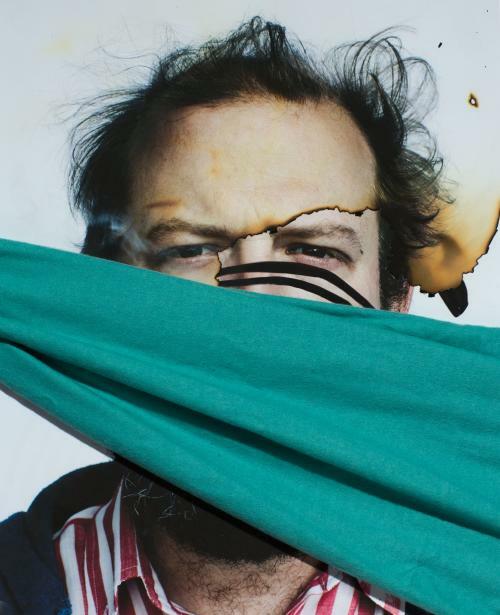 Bon Iver, an indie folk band founded by singer-songwriter Justin Vernon, plays two nights at the Thomas Wolfe Auditorium on Saturday and Sunday at 7 p.m. A limited number of tickets are still available. English rock band Alt-J takes on the U.S. Cellular Center on Friday at 8 p.m.
Asheville’s Lyric Opera celebrates autumn with its “Fall in Love” performance. This intimate evening of music captures the romance of the leaves turning outside. The show is at the Asheville Masonic Temple on Friday at 7:30 p.m.
And, bring the family to Asheville Community Theatre’s presentation of Dinosaurs Before Dark. In this play, siblings Jack and Annie discover a tree house full of books while exploring one afternoon. As you can imagine, that leads to some big adventures. There are three performances, Friday (7:30 p.m.), Saturday (2:30 p.m.) and Sunday (2:30 p.m.). 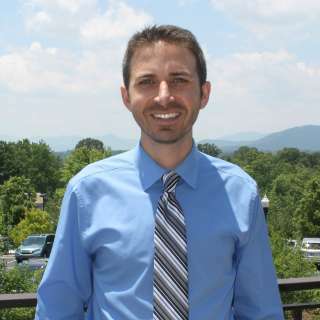 Come meet some of Asheville’s top chefs and restaurateurs during this second annual event. Enjoy good food, good times and good books! Attendees include Katie Button of Curate, Kyle James of Bun Intended, Elizabeth Sims of Tupelo Honey and Barbara Swell of Native Ground, as well as author Ashley English. Top photo of Blue Ridge Parkway by Jason Tarr of Explore Asheville. 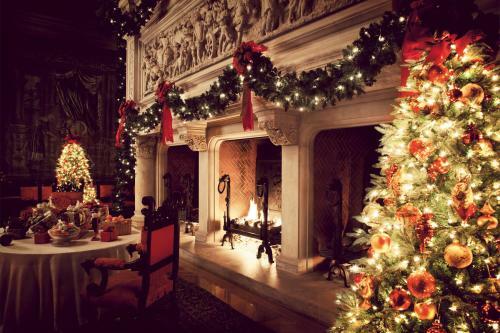 Photo of Candlelight Christmas Evenings inside Biltmore courtesy of The Biltmore Company. Bon Iver photo provided by Shore Fire Media.